If you're like us -- hesitant to miss out on even a minute of precious cruise vacation fun -- you've inevitably breezed past your cruise ship's onboard sales office, ignoring the colorful brochures and promises of booking incentives. 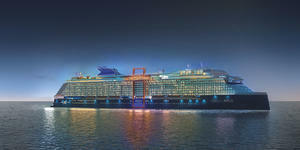 The thing is, if you're going to go on another cruise someday -- and, face it, we all know you are! -- you really do want to check in at the sales desk to see the kinds of deals featured. That's because your cruise line is likely to be offering onboard credit, reduced deposits or an attractive discount when you book a future cruise onboard your current sailing. 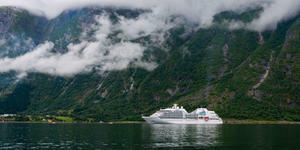 Many also let you change your cruise dates or ship or even cancel by a certain date with no penalty or fees. In most cases, you have nothing to lose if your travel plans change and everything to gain if you're going to take another cruise with that line. Here's a look at some of the key benefits the major lines offer when you book a future cruise while aboard a sailing on their ships. 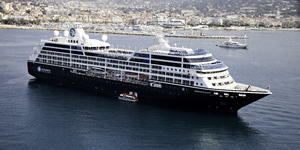 Azamara features a Cruise Again program in which cruisers can book their next trips while onboard. With an Open Booking, you can reserve a sailing with a 50 percent reduced deposit (excluding Club World Owner and Club Ocean suites) and receive repeat cruiser savings ranging from 4 to 10 percent off. You don't have to pick your sail date right away, but the deposit is nonrefundable (though there is no expiration date). The Confirmed Booking deal also offers 50 percent reduced deposits (likewise excluding Club World Owner and Club Ocean suite bookings), and you pick your ship, sail date and cabin category at the time of booking. Passengers opting for a Confirmed Booking get $200 onboard credit for the future cruise, as well as anywhere from 3 to 10 percent savings on the future fare, depending upon your loyalty level with the line. Carnival offers a Future Cruise Vacation program, allowing passengers to book a new cruise at a promotional rate up to two weeks following their sailing. The program gives passengers the option to either book the promotional rates onboard, or do it later, online. Passengers who take advantage of the program may combine Early Saver Rates with a $25 per person onboard credit (up to $50 per stateroom), a 50 percent reduced deposit requirement and a two-category upgrade. For those booking suites, the onboard credit is $50 per person (up to $100 per stateroom), along with the other benefits. The program has some limitations. Passengers won't be able to choose other rates, such as those for past passengers or Friends and Family vouchers. Plus, if you find a rate reduction at a later date, the onboard credit will disappear if you rebook. You can book unlimited future cruises for yourself and up to three additional cruises for friends or family, and you can combine the booking deal with one other offer (such as the "Go Big, Go Better, Go Best" sale, for example). 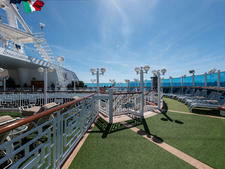 Choose either the Cruise Now or Cruise Later option when reserving a cruise. The Cruise Now plan offers up to $500 in onboard credit (based on length of the sailing, itinerary and cabin category) for passengers who know which ship and sail date they want. 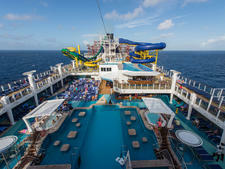 The credit can then be redeemed for use on the future cruise booked. You can cancel your booking up to 90 days before your sailing date without penalty. You also can change your cruise date or ship, and if a new promotion is offered later on, you can opt in for it if it's a better fit. The Cruise Later option is best if you know you (or a friend or family member) want to cruise but haven't yet picked a ship, destination or date, and prefer to determine those particulars later on. There is no expiration date on your reservation, and you (or they) are eligible for up to $200 in future onboard credit. 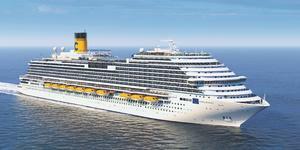 Costa Cruises offers cruise consultants on its ships to help passengers take advantage of the line's simple future booking offer: If you reserve a cruise onboard, you get a 5 percent discount. 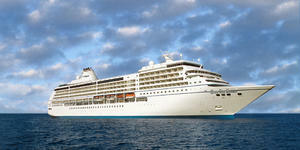 Crystal Cruises' passengers who book onboard can pay a reduced $100 preliminary deposit and pay the remainder of the standard deposit once they're back home. 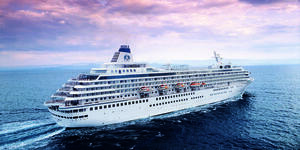 Crystal also gives a 2.5 percent discount to passengers who book while onboard; repeat Crystal Cruisers are automatically enrolled in the Crystal Society past passenger program, entitling them to an additional 2.5 percent savings, too (totaling 5 percent off a future cruise). 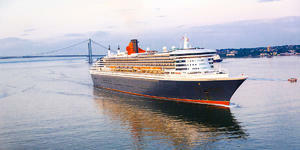 Cunard passengers who book future voyages while still on their cruise are entitled to a future onboard credit of up to $400 each (amount varies by cabin category and cruise length booked, and is applicable only for the first two passengers in each cabin). Plus, passengers pay a reduced deposit of $300 per person (versus standard deposits of 25 percent of the total cruise fare). For longer voyages of more than 24 nights, cruisers get a 3 percent discount and a reduced deposit amount of 10 percent of the fare. 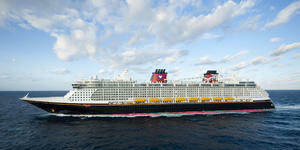 Disney Cruise Line offers reduced deposits, discounts and onboard credit (depending on sail date, itinerary and cruise length) but does not wish to publicize exact details. Holland America's Future Cruise Consultant desk offers up to $200 per person in onboard credit for the future cruise booked (the amount's based on the length of sailing and stateroom category selected) with a deposit of $100 per person. 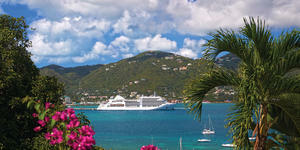 Plus, future cruise offers are combinable with any current promotions. You can choose an itinerary on your current sailing or make a future cruise deposit and take up to four years to pick your cruise. MSC Cruises' Future Cruise Consultant program allows passengers who book onboard to receive up to $200 per cabin in onboard credit, based on ship, sail date and cabin category. 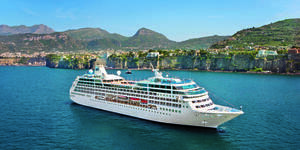 Deposits can be as low as $50 per person, depending on the current available promotions and whether the passenger opts to receive an instant $200 onboard credit (in which case the deposit is nonrefundable) or to receive their credit on a future cruise (in which case cruisers can take advantage of the standard refund policy of a full refund for up to 90 days before sailing). 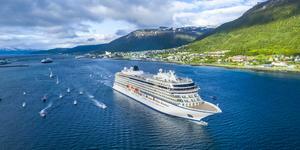 Cruisers can book specific sailings while onboard or decide up to four years later. 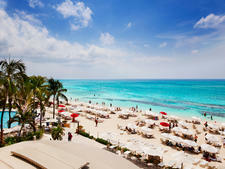 You can combine the reservation with certain other promotions, too. 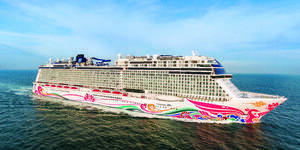 Norwegian Cruise Line's onboard CruiseNext program allows passengers to make a $250 deposit (per stateroom -- deposit amounts start at $500 for Concierge, Suite and The Haven categories) to reserve a cabin on a sailing of six days or longer. It gives each booked passenger up to $500 in instant onboard credit (based on the number of future cruise deposits made), which you can use on your current sailing. To book sailings of five days or less on Norwegian Sun or Norwegian Sky, the CruiseNext Lite offer allows up to four deposits of $100 each to be made, in exchange for up to $150 in instant onboard credit. The CruiseNext deals are combinable with whatever other applicable promotion Norwegian might be offering at the time of booking. Plus, you have four years to pick your sailing date and destination before the deposit expires. Deposits, minus the amount of the instant onboard credit, are refundable within 30 days. 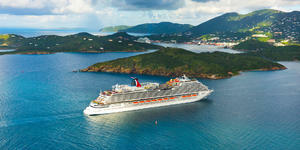 Norwegian also offers a CruiseNext Ultimate deal for cruisers who know when and where they want to sail to next. These cruisers get the same perks of CruiseNext, as well as a free cabin upgrade (in select categories) aboard the future sailing. 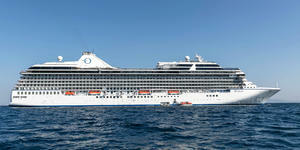 Oceania features an Oceania Club Ambassador/Future Cruise Sales desk that offers promotions for booking while onboard. Passengers can save between $200 and $8,000 per booking when they book on the ship, and they'll also get $100 in shipboard credit for each booking they make, to use on their current voyage. Required deposits are reduced to as low as $250 per person, and the onboard booking deals are also combinable with the line's best available promotional offer, items such as free airfare, OLife Choice amenities and early-booking savings. Onboard bookings come with a Best Price Guarantee, too (which can be matched until the day of the sailing). Passengers who wish to change their plans have the flexibility of a one-time change (penalties apply), which allows them to receive the applicable onboard savings for their newly selected voyage. 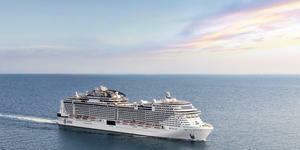 Princess Cruises offers future cruise sales consultants on each of its ships. You pay a $100 deposit per person to reserve a future sailing, and you can claim future onboard credit of up to $150 per passenger (based on cruise length and cabin class). 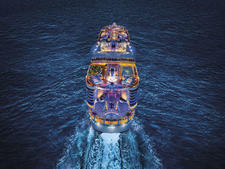 You can book a specific cruise onboard or get an open reservation to sail that's good for up to two years. Your deposit is refundable if you choose not to use your reservation. Regent touts exclusive savings for passengers who book onboard (or up to 30 days before embarkation, by phone). Cruisers get deposits as low as $500 per person and savings of up to $2,000 per suite, based on sailing date and suite category selected. 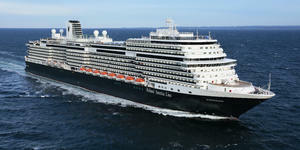 Plus, passengers get a $200 shipboard credit for booking, redeemable on their current voyage. You have up to 30 days to cancel for a full refund and are able to change your selected sailing date one time for no fee. If you don't know when you want to sail, you can buy a "Future Cruise Certificate" for a $2,000 deposit. 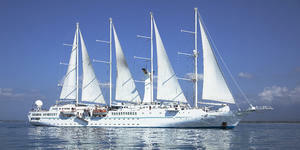 The certificate is redeemable for up to two years, and the sailing date can be outside of the two-year window. 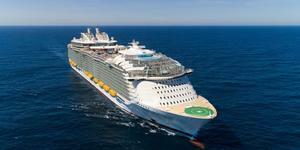 Royal Caribbean features a NextCruise booking program. With a nonrefundable deposit of as low as $100 (for Junior Suites and below categories), you get up to $600 per cabin, redeemable in future onboard credit or in a cash discount on the new booking; the amount of the offer is based on the length of the sailing and cabin category selected. Cruisers have to pick their stateroom and sailing dates at the time of the reservation, though they can also opt for a refundable reservation, which will get them a future onboard credit of up to $150 per stateroom (based on the stateroom category and cruise length). 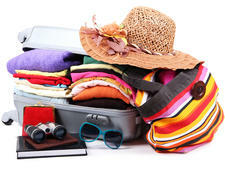 Each person can make up to three bookings for themselves or friends or family while onboard. If you're unsure of which cruise you want, you can purchase an "Open" Future Cruise Deposit onboard and receive the 5 percent savings toward the future cruise when it's eventually booked. The deposit expires four years from the date of purchase, and you must apply it to a sailing that embarks before the expiration date. If not, it will be automatically canceled on that date, and the amount paid will be credited back to the credit card used to purchase the deposit. The deposit can also be canceled and credited back at any time at your request. Silversea gives a 5 percent discount when booking a specific sailing or putting down a deposit on any future cruise. If you book a future voyage while onboard, you can put down a floating deposit of $1,000 per person, which secures the 5 percent savings if you convert it to an actual voyage within six months of initiating the booking. If you do not apply the deposit to an actual voyage, you can request to have it refunded in full. Viking features dedicated travel consultants onboard its ocean fleet who can book interested passengers aboard future cruises with incentives that include discounts of $100 to $1,000 per person (depending on the length of the cruise). Plus, passengers can change their preferred itinerary or sailing date up to four months before departure (though some restrictions apply). Windstar introduced onboard cruise consultants to its four largest ships in 2018. When passengers book a cruise onboard, they receive a reduced deposit (starting at $200 per booking, instead of 15 percent of the cruise fare, and refundable based on the program's guidelines). They can also take advantage of a special 5 percent discount offer for future cruise bookings, either when booking onboard or if they secure a new reservation within 60 days of disembarking from their voyage. Finally, as all passengers onboard qualify for Windstar's Yacht Club loyalty program -- even if on their first cruise -- they can also access an additional 5 percent member discount.